Hang on. Why should being a mother mean that your weekends feel just like any other day of the week? Yes, the early stages of motherhood can be a sleep-deprived, relentless monotony of doing the same things day in, day out with it all melting into one until you really don’t know or care if it’s Saturday or Wednesday. But once you’re past that stage (or even if you’re in it!) weekends are to be celebrated. 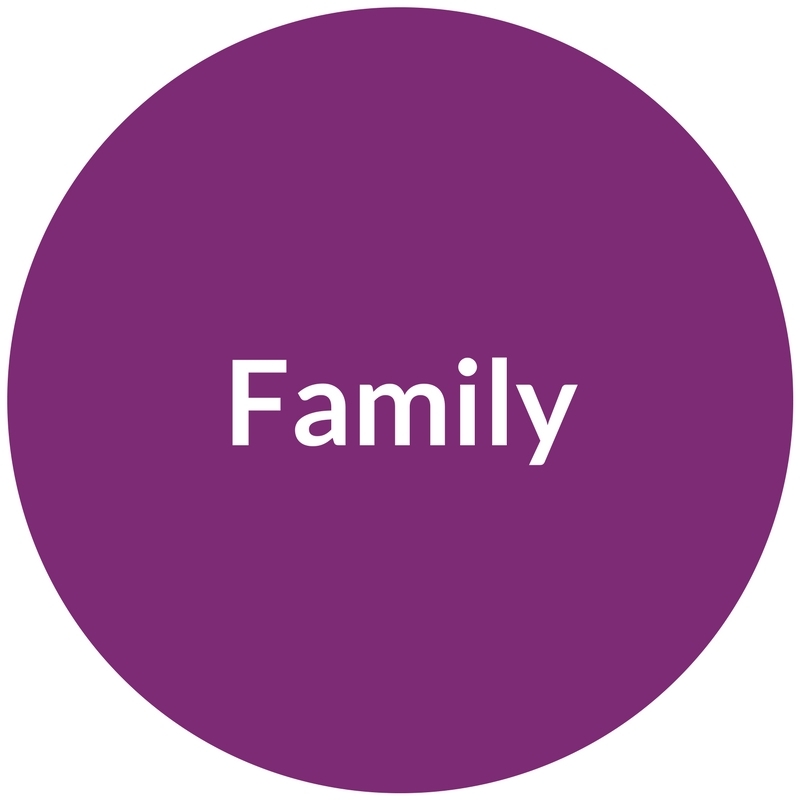 I passionately believe that weekends need to feel different from weekdays – ESPECIALLY FOR MOTHERS. 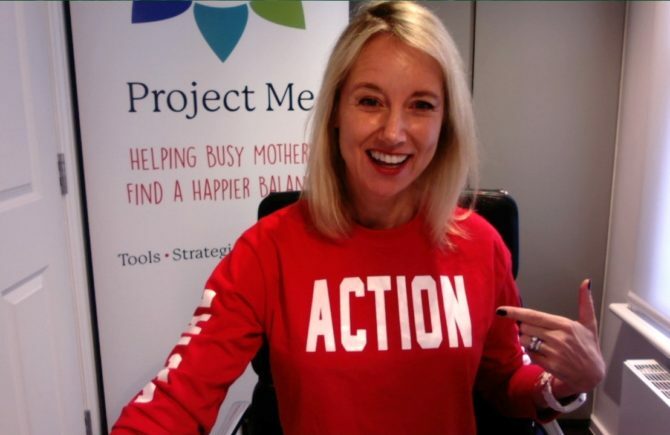 The most downloaded Project Me Action Sheet is the Design My Day planner and women all over the world use it for plotting out where they need to be and what their priorities are each day. But weekends need to take on a different vibe. This is where my new Action Sheet – Design My Weekend comes in. 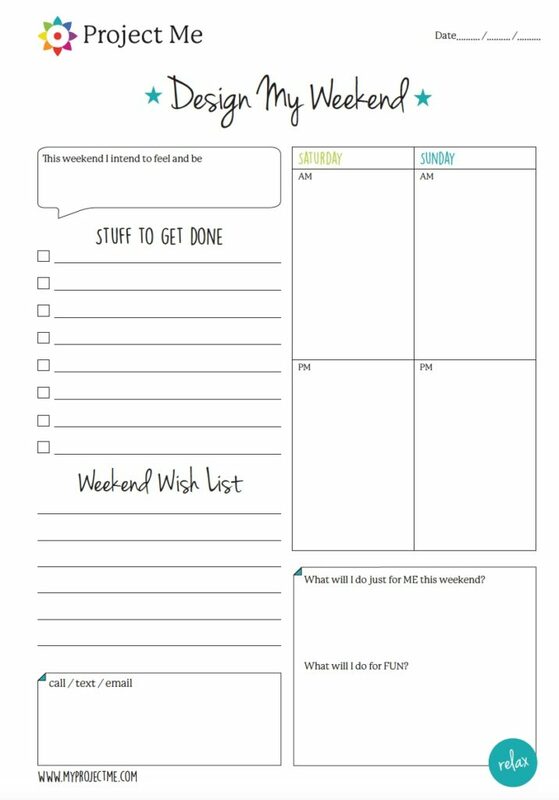 Design My Weekend is a simple one-pager that covers both Saturday and Sunday. I’ll walk you through it. This weekend I intend to feel and be…. Your feelings and emotions are always your indicator for whether you’re in or out of flow. Take a moment to set your intention for the weekend and then check in with yourself regularly. Stuff to Get Done gives you a place to identify a few things you actually have to get done. You don’t need to fill every line. Give yourself a break; it’s the weekend after all. Weekend Wish List is a place for anything you’d ideally like to do if you can. Otherwise the weekend could fly past without it happening again. Use the Saturday and Sunday a.m. / p.m. sections for any plans. Call / Text / Email in case there’s a birthday or someone you must remember to contact. What will I do just for ME this weekend? Don’t let a whole weekend fly past without doing anything just for you. 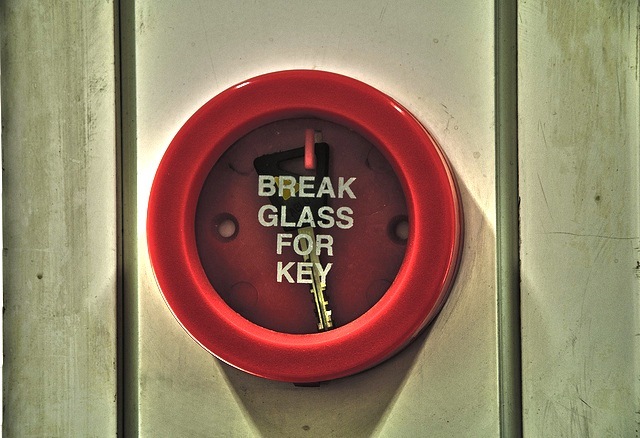 You’ll have more to give others when you keep your own batteries charged. What will I do for FUN? Be proactive about weaving some fun into your weekends so life doesn’t become dry and monotonous. Sure, your weekends may be jam-packed with kids’ activities and running around or you may only have weekends to get jobs done around the house. All the more reason to make your weekends feel special. Here are some ideas to find your weekend groove. Lose the rigidness. Relax a bit on routines. 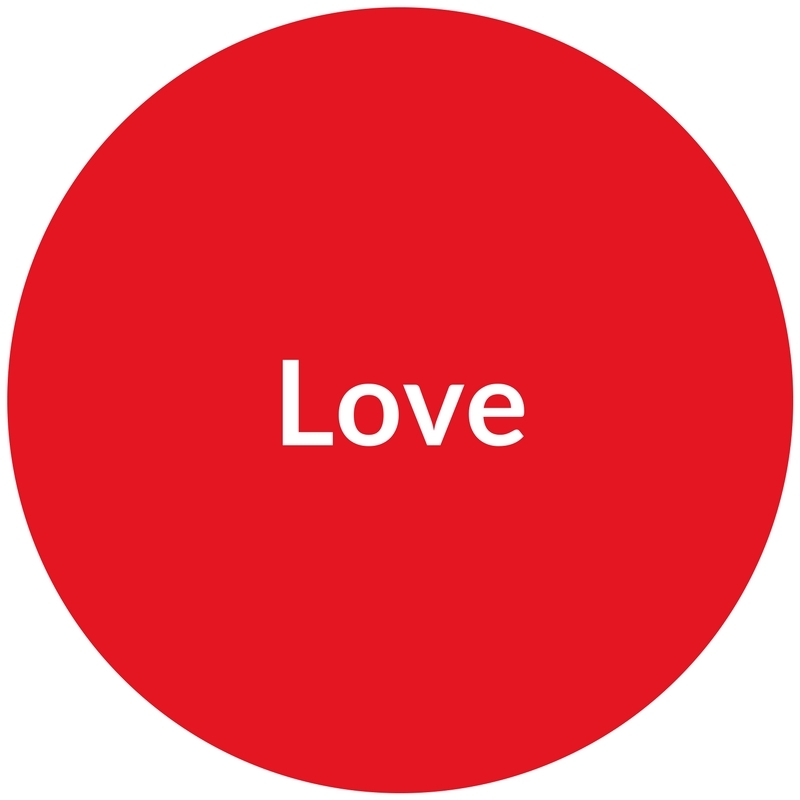 Focus less on action and outcome and more on connection and inwardness. Feel a sense of softening as you enter weekend mode. Let go of perfection, relax a bit on that to-do list – and here’s how to get your kids / partner to pitch in more. Create an upbeat music playlist for the car or home. Music instantly changes the vibe. If you have a lot to get done, plan a well deserved reward for later in the day so you have something to look forward to. Even just putting your feet up, guilt-free. 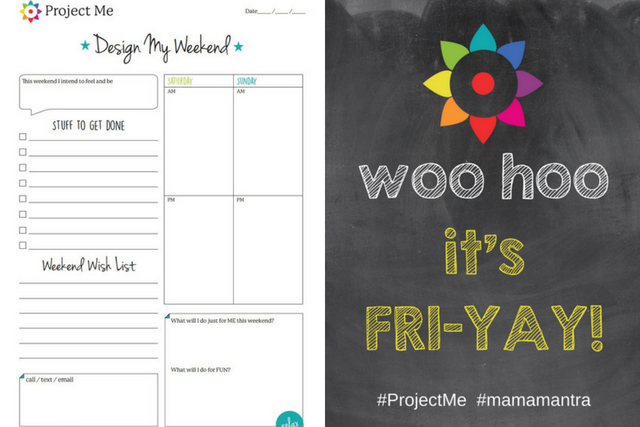 Here’s the Mama ME Time Action Sheet to help you brainstorm ideas. 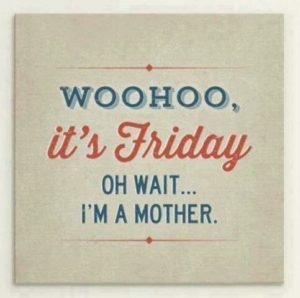 In my 18+ years of motherhood I’ve held on hard to my Hooray It’s The Weekend mentality. From early Friday evening until Sunday evening I beat to a different rhythm. I crank up Ibiza Sonica Radio to signal the start of the weekend, crack open a bottle of wine and I’ve soon got that Friday Feeling! 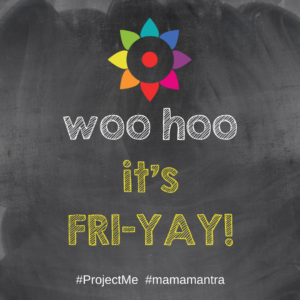 Pizza Friday is a tradition in our house and the kids feel a fresh vibe from me as I transition into my #WeekendMama mode. Routines are relaxed, I cut corners on cooking and cleaning (i.e. : I don’t do much of either). I have a no-working-on-weekends policy and avoid entering my home office so I don’t get sucked in. Most weekends we’ve had a babysitter on either the Friday or Saturday night so we can go out for some kiddie-free ‘We Time.’ (Read about what else we’ve done to have 20 Years of Happy Marriage.) Our teenagers now babysit for other parents who need their night out. Here’s a new one for social media…. Project Me style! I hope you’ll enjoy this new Design My Weekend Planner. Have a lovely weekend. You deserve it. 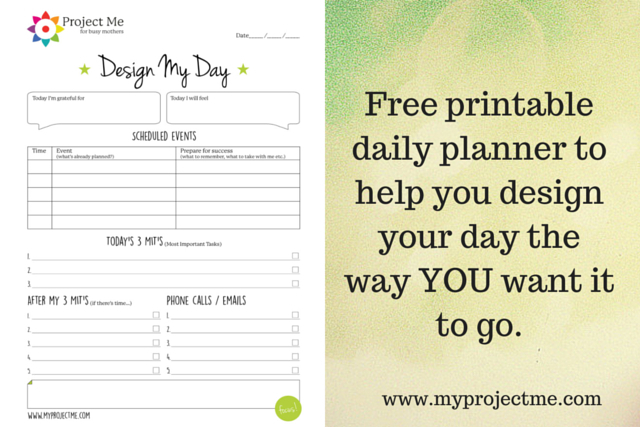 pssst… COMING SOON… a printed planner that contains both Design My Day and Design My Weekend! It’ll be available on Amazon. In the comments below, share what your weekends are like. Are you having enough fun? 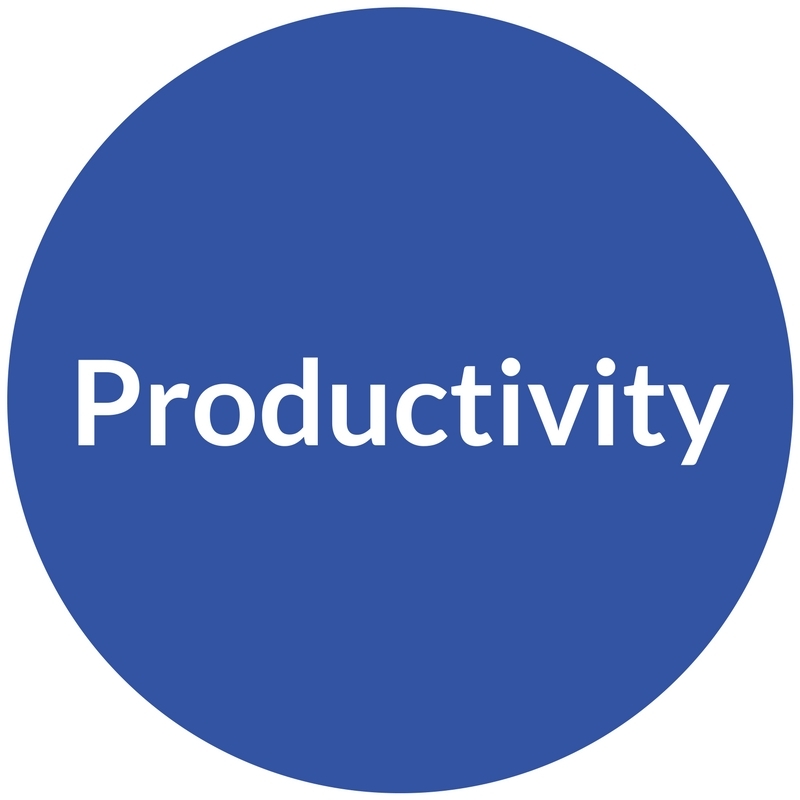 Are you getting the right amount done without being in ‘doing’ mode the entire weekend? 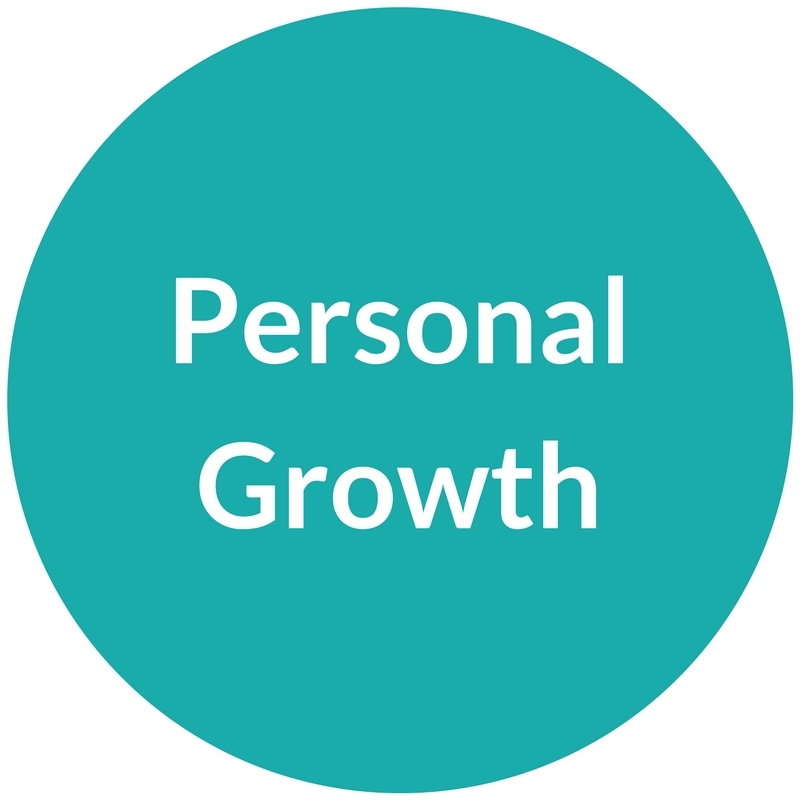 Are you creating any space for you? I think I will need to organise myself better to make this happen. I leave changing sheets and doing some big loads of laundry until the weekend. And I make too complicated recipes for lunches or dinners and then end up resenting it and not enjoying it. I love the idea of cooking, laundry, cleaning less on weekends and relaxing on routines so I can feel the weekend vibe you describe. I am inspired. Thank you. Thank you for this great idea! Weekends are a different beast, full of everyone’s (surprise) needs all jumbled together. It’ll be good for every family member to see what Mom gets done – on the weekends off. Yay, transparency. Thank you! I love this. It helped straighten out this weekend. In a way it’s more valuable that the week day plans – I try to cram all the me things into the weekend as Monday – Friday is all work. Any news on when the planner will be available on Amazon?